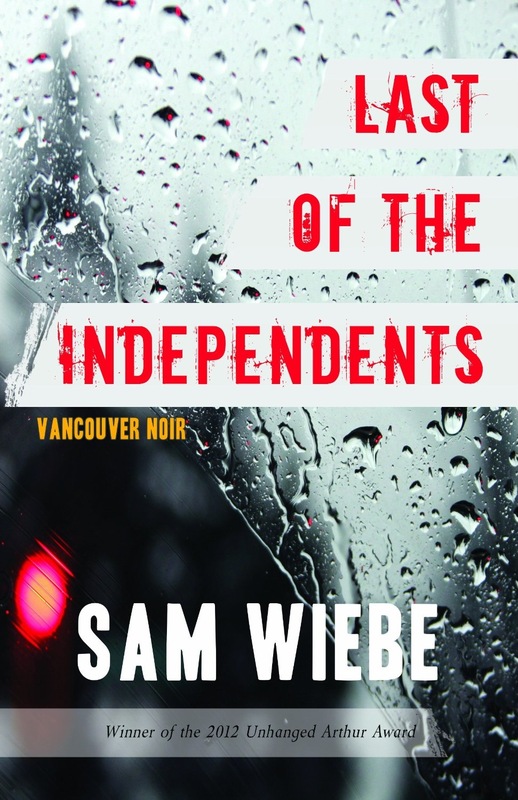 This is the debut novel of Vancouver writer Sam Wiebe, and the first in his proposed Vancouver Noir series following the cases of Michael Drayton, former Vancouver Police (VPD) officer and current independent private-eye. Independents was the unanimous winner of the Unhanged Edgar Award in 2012, an award given for the best unpublished mystery novel in Canada. Fortunately for us, Dundurn picked up Wiebe’s book, and we can now settle down to an evening or two of highly entertaining modern noir. Before I get into the meat of the review, I need to come clean: I know Sam Wiebe. He was a student of mine at SFU back in the Fall of 2008, when I was his TA in English 399. In my defense, I gave his first assignment a C+ – a grade for which he promptly took me to task, a grade which he was able to successfully argue against for a review and upgrade. While I did adjust his grade in that case, it wasn’t due to any sympathy or lack of resolve on my own part – it was because Sam was able to argue pertinently and to-the-point. In fact, Sam’s formidable in-person nature – strong-willed without bullying, intelligent without condescension, a strong sense of justice – also comes through in his writing. Michael Drayton, Wiebe’s creation, is one of the more complete characters I have read in some time. Click through for my full review.